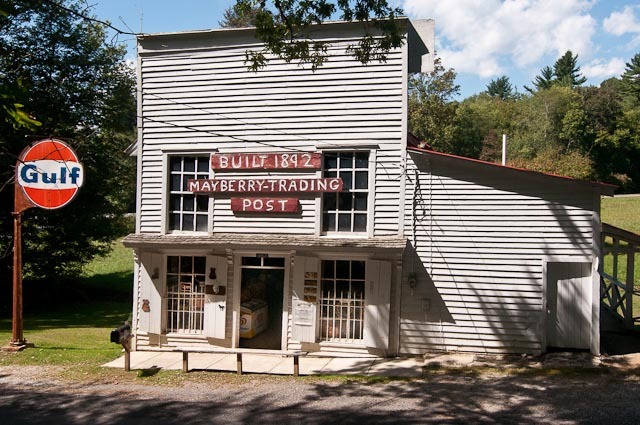 You can see the backside of the Mayberry Trading Post as you drive along the Blue Ridge Parkway near Meadows of Dan, Virginia. It’s a mandatory stop. Not only because of its historic and scenic nature, but for the items on display and sold inside. 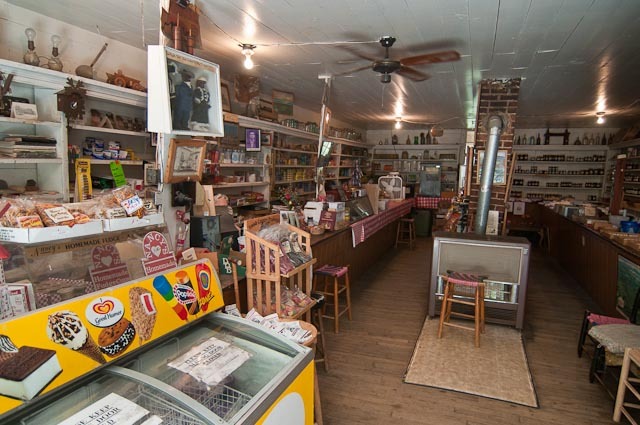 Whether it be old fashioned hard candy or a block of homemade lye soap, you can get it here…and more. “Old” mixes easlity with “new”, as judged by the ice cream being sold to your immediate left upon entering, and the old stove in the middle. On weekends, locals make apple butter in a large copper vat outside, thereby drawing more visitors like me. Wonderful place. Nikon D300, processed in Lughtroom v3.2. Nice images, on the second image of the inside did you know you can help the wide angle lens converging lines, in Lightroom 3. Under Lens correction. I’m sure you know and sometime it does a great job and sometime I just like the look. Keep up the good works. I messed with lens corrections, but my 14-24 Tokina lens has some distortion at its widest setting, and hard to remove. That lens is a cheap alternate to Nikon’s and many say it’s just as good. Thanks for your comments, Mike.